Rejoice citizens! 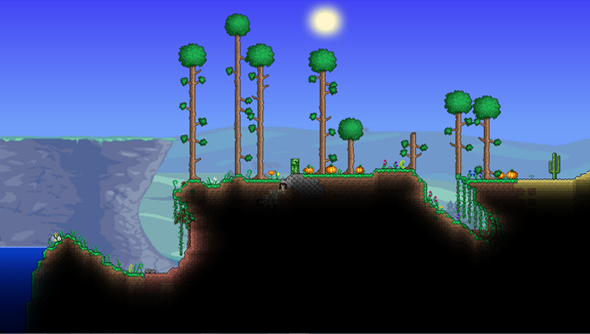 In Terraria’s 1.2.1 Halloween update The mice have finally been freed from tyranny and oppression at the hands of Terraria’s monsters. No more will they have to fear a grisly and untimely death, and no more will they accidentally spawn in the depths of hell. They are free! There’s also some stuff about pumpkins too. Apart from a lot of festive redecorating, major changes include Monsters not being able to kill Mice anymore, and Mice no longer spawning in Hell. That’s a pretty big deal. Monsters will also have a chance to drop Goodie Bags that are filled with “fun surprises”. There’s also a special Pumpkin Moon event that can be triggered on Hard mode, which is basically a Horde scenario with increasingly difficult waves of enemies. The loot gets better the longer you last, and the event itself will be available until November 10th.